Another strong quake has hit the Indonesian island of Lombok, just weeks after an earthquake that killed 460 people. 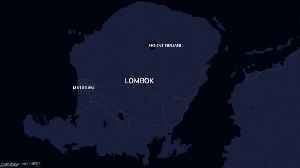 A fresh tremor of 6.3 magnitude struck the Indonesian holiday island of Lombok, the U.S. Geological Survey said on Sunday, after an earthquake killed more than 430 people there earlier this month. David Doyle reports.